Tottenham intend to bid for Chelsea striker Romelu Lukaku this summer. Tottenham chairman Daniel Levy will splash out on a new striker this summer. 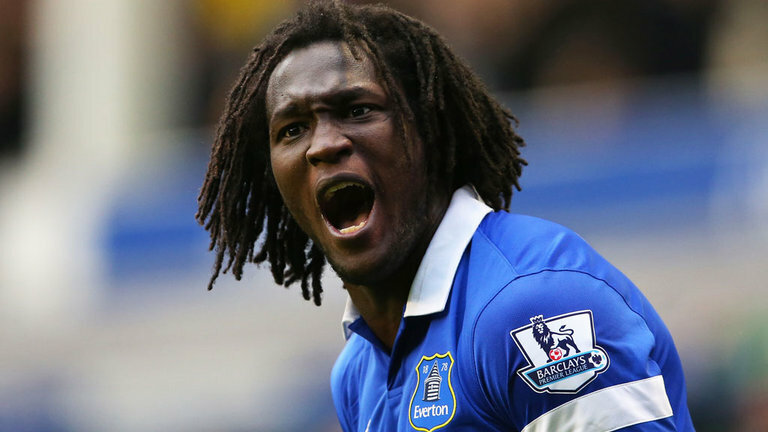 The Telegraph says Levy’s top target is Chelsea striker Romelu Lukaku. Manchester United’s Javier Hernández and Queens Park Rangers’ Loïc Rémy, who is well known to Tottenham scout Ian Broomfield, are other options but Lukaku is ahead of them on the wanted list. Lukaku, currently on-loan at Everton, is set to be sold by Chelsea as manager Jose Mourinho seeks to make a new striker signing within Financial Fair Play rules. The Telegraph says Spurs were among a host of clubs interested in Lukaku last summer and chairman Daniel Levy made a cheeky offer to swap Emmanuel Adebayor for the 20-year-old. Tottenham will make a more serious bid for Lukaku this year and hope to convince Chelsea to allow the player to stay in the Premier League. Chelsea will demand big money for Lukaku, who they signed for £17 million from Anderlecht in 2011, but Spurs would comfortably be able to offer the player an increase to his £40,000-a-week wages. Samuel Eto'o: Pep Guardiola is a Coward! Why should we sell a player to spurs after what they did to us on Modric? Why sell him when we can sell both Torres and Ba this summer.